The archaeology of hunters and gatherers has long focused on the economic and technological dimensions of food use and procurement. In marginal environments especially, hunter-gatherer food use has often been situated within an adaptationist calculus of survival and environmental accommodation. The ethnographic record of hunter-gatherers that inhabited such environments, however, indicate that social and cultural considerations also critically informed indigenous peoples’ procurement, consumption, and discard practices. 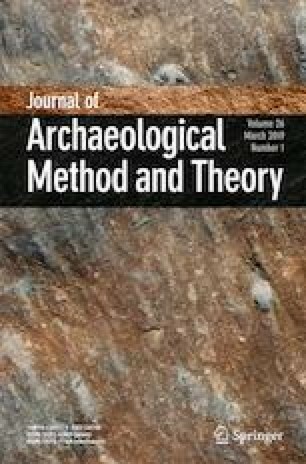 Drawing on the later prehistoric and early historic archaeological record of the island of Newfoundland, in northeastern Canada, this paper explores how the procurement, consumption, and handling of subarctic foods conveyed identity, reflected historical conditions and social relations, factored into ritual and ceremonial practice, and embodied worldviews. I would like to thank Tom Andrews, Laura Halfyard, Cyr Couturier, Steve Hull, Chris Wolff, and John Erwin, who have all helped in various ways. I am especially appreciative of Moira McCaffrey, and three anonymous reviewers, for their close reading and critical comments on an earlier draft of this paper. Todd Kristensen is responsible for the wonderful illustrations. Excavations at Birchy Lake were supported by an Eastern Illinois University research stipend (awarded to Donald H. Holly), and faunal analysis by a grant from the research office at MacEwan University (awarded to Paul Prince). Excavations at Stock Cove have been generously funded by the National Science Foundation, Arctic Social Science Program (awarded to Donald H. Holly Jr. and Christopher Wolff; awards 1011781; 1522977, 1640962).